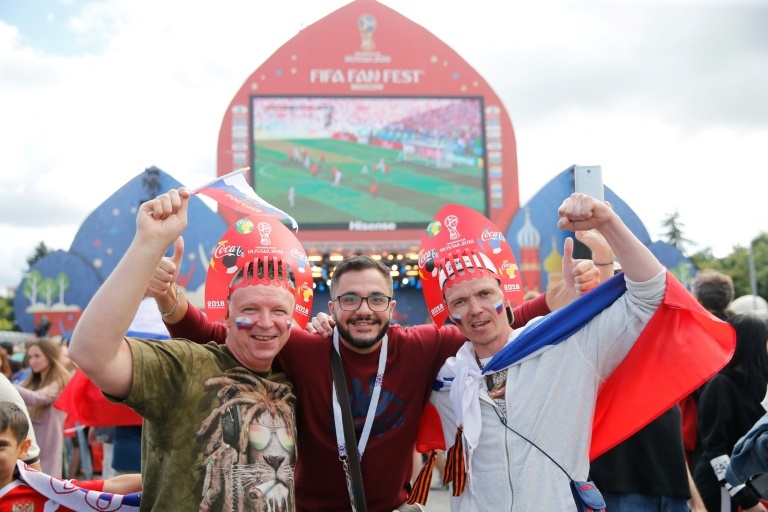 Thousands of cheering and flag-waving Russian fans thanked their disappointed players on Sunday after the host nation's fairytale World Cup run came to a crushing end with a shootout loss to Croatia. 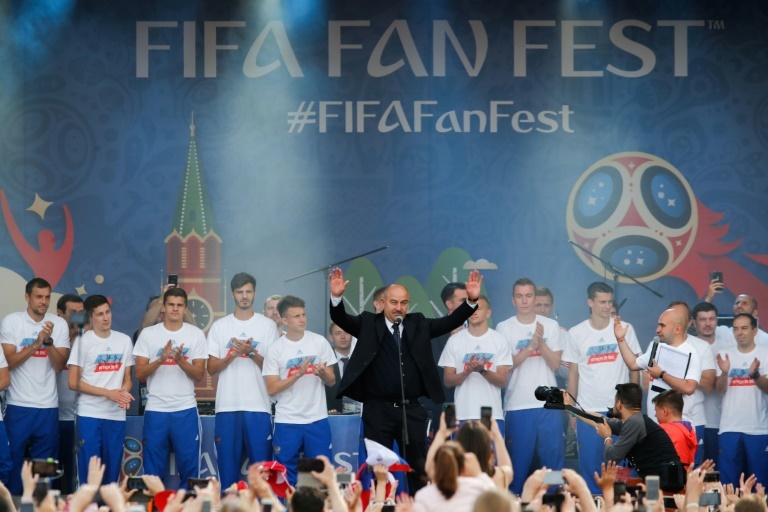 Coach Stanislav Cherchesov led his team onto a stage to a heroes' welcome in a Moscow fan zone on a sunny day that was meant to put a patriotic exclamation point on Russia's ability to beat the odds. The long-suffering Russians entered the biggest event in sport as its lowest-ranked nation but ended up coming up just short of reaching their first World Cup semi-final in 52 years. They lost to Croatia 4-3 on penalties after extra-time ended with the sides deadlocked at 2-2 in the Black Sea resort of Sochi on Saturday. "You were not the 12th player -- you were the 12th, 13th, 14th, 15th and 16th players," Cherchesov told the crowd gathered on a scenic hill overlooking Luzhniki Stadium. "We felt your support from the first second." The national team has been gaining followers and drawing increasing political attention from government leaders with every win. President Vladimir Putin has invited Cherchesov and his charges to the Kremlin and Prime Minister Dmitry Medvedev came down into the players' locker room after the loss. The men in red themselves sounded inconsolable on Saturday. Their mood appeared to have brightened by the time they had returned to Moscow to greet their worshipping fans. Forward Fedor Smolov received a rousing reception despite making a mess of Russia's penalty kicks. "I am so happy to be a citizen of Russia," he told the crowd. "No other team in the world has fans like we do." Midfielder Denis Cheryshev dedicated his four goals -- tied for second-most in the tournament behind England forward Harry Kane's six -- to "the whole country". "Of course we wanted to go further," he admitted. "Thank you from the bottom of my soul -- we love you." Other players took turns thanking supporters before the ceremony ended with a rousing rendition of the Russian national anthem. The entire ceremony was aired live on national TV. "Yesterday, there were tears," said defender Sergei Ignashevich. "I had them and the guys did. They were tears from the loss, and tears of happiness. Thank you." The 38-year-old came out of international retirement to play for Russia one last time after injuries depleted their defence. He called an end to his playing career earlier in the day.